Bradford based Energy Saving Centre has been fined £250,000 for breaching the Telephone Preference Service (TPS) rules. Energy Saving Centre also trades under the brands Energiglass, Energisaver and Energy Care. 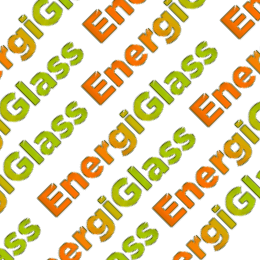 Energiglass now appears to be a trading name of another business run by Mr Danyal Uddin called TESC (Glass) Ltd. Unlike many other Monetary Penalty Notices (MPN) issued by the Information Commissioners Office (ICO), Energy Saving Centre had a large number of complaints. Between June 2016 and January 2017, the company had 377 complaints! If that wasn’t enough, the ICO had 148 complaints in the same period. Let’s be clear, if you’re getting close to 100 complaints per month to the likes of the TPS and the ICO, then you can expect an enquiry from the ICO and the likelihood of a fine is very high. As part of the investigation the ICO identified another CLI used by Energy Saving Centre and that contributed to another 105 TPS complaints and a further 90 complaints directly to the ICO. Believe it or not, it continues to get worse. During the ICO’s investigation, which commenced in February 2017, a further 613 complaints were received. The company offered up no due diligence on its data suppliers. Whilst the ICO might not be communicating it very well at all, you have to perform due diligence on your data suppliers. Check they have a data protection number, check where the data you’re purchasing has come from and how it was created and much more. The company offered no evidence of any staff training, including any training regarding contact with customers and the company’s responsibilities under the Privacy Electronic Communications Regulations (PECR), which covers the TPS. Again, the ICO may not be communicating it very well, but you’re expected to have documentation and evidence of proper training in place. Either way, it’s a moot point as responsibility for TPS screening rests with you, not your supplier. The company made 7,191,958 calls, none of which were screened against the TPS. “Seriously, when you’re dealing with complaint numbers like this just roll over; you stand no chance of getting out of it. More to the point, the ICO are working with other regulatory bodies to take further action against companies over and above a Monetray Penalty Notice.